The Country Fair White Elephant is made up of the Management Staff and over 600 volunteers. We thank the volunteers and the community for its loyal support. Through this support we are able to continue in our mission to financially aid the educational and charitable groups in our area. This financial support enables them to continue on with their important work, serving others. Our donors, shoppers, and volunteers make it possible for us to give back a million and a half dollars each year to more than 100 separate organizations. Five college scholarships are also given to local graduates every year. Our record of giving now totals more than $31 million dollars over the past 54 years. And we don’t intend to slow down, but we can’t do it without your continuing and much appreciated help. We truly believe when the White Elephant prospers, the community prospers as well. Our annual White Elephant Parade is our gift to the community. This past year’s Country Fair White Elephant Parade took place Saturday October 27, 2018. 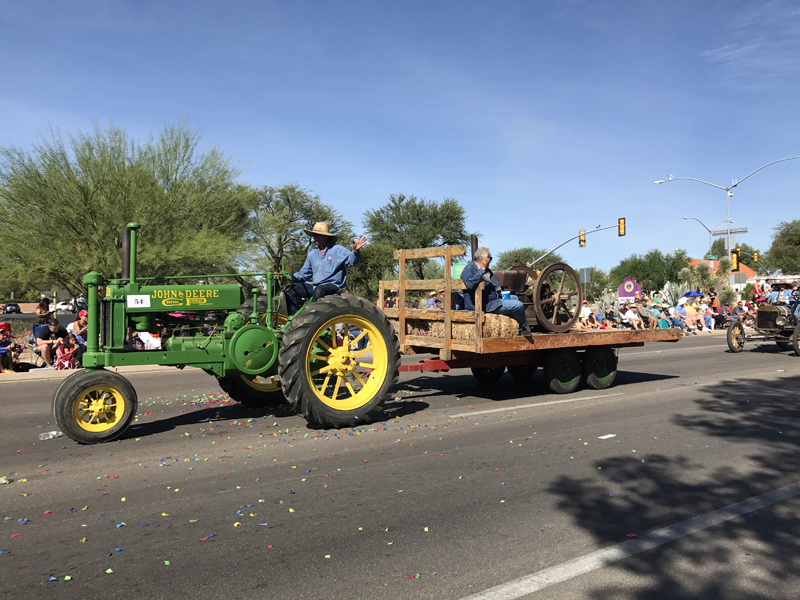 The Parade featured local schools and civic organizations enjoying a beautiful day along the Parade Route in Green Valley. Check out the Video from the 2018 White Elephant Parade which featured nearly 100 parade entries. As always, it was a fun time. 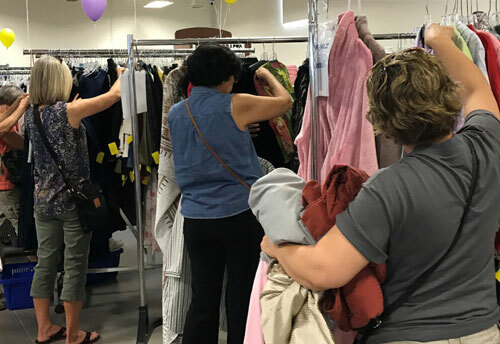 We thank all of the participants in the 2018 White Elephant Parade–and for shopping at the White Elephant Thrift Store.